Society W is an exclusive matchmaking service for remarkable single people, with one of the highest success rates in the global matchmaking industry. With our remarkable network of members and contacts, you’ll be matched with stunning women and charming men. People that you might never have the chance to connect with otherwise. We meet and screen all potential dates in person to ensure that they are what you’re looking for. It’s like having someone else go on all your first dates for you. You’ll be matched with attractive, caring, one of a kind people that share your values and passions. Finding a gorgeous, intelligent and down-to-earth woman or man to share your life with is difficult. Bars, online dating and scattered dates are awkward and disappointing at best. That’s why more intelligent people are turning to matchmakers to help them find love. You hire professionals for other areas of your life, and relationships should be no different. Don’t leave love to chance. As a professional and successful person, you have a reputation to uphold. That’s why – unlike dating profiles – the only people who get to see your Society W Match Card are our matchmakers. No Match Card is created without your permission and you can remove yourself from our Member List at any time. Your details are never posted online. Many matchmaking services treat you like a number. You’re handed off from one person to another. It’s frustrating and can feel like you’re starting the process over and over again. I was fairly hesitant about joining a dating service as it had been so long since I had gone on a proper date, but Society W made my first introduction incredibly easy with a relaxed and informal meet-up. It probably couldn’t have been a more perfect match – she was attractive, incredibly enthusiastic about her work, well- traveled, easy to talk to, and had a very kind heart. I definitely would not have had the opportunity to meet her without Society W’s introduction. Wendy is very supportive and passionate about finding appropriate matches, but more importantly she takes the time to understand what you are looking for in a potential lifetime partner. Just by talking to Wendy and scoping out my own personality traits has really helped me refine what I’m looking for. Life is too short to potentially miss out on that perfect someone, so let Society W help you out! There are few people who are talented in the field of relationship and date coaching but Wendy is definitely one of them. In just 2 hours she completely changed my perspective and saved my relationship from breaking up. You can tell that her advice comes from the heart and she has no hidden agenda. Her extensive experience in dating also gives her a very broad perspective on the topic, and she is able to see things from many points of view. Thank you! I am very happy with my experience with Society W. The consultant is very supportive and dedicated. Through very personalized recommendations, I’ve met several like-minded and interesting people whom I would never have a chance to meet if I continued to stick to my usual social circle. I am excited about a new guy I recently met through Society W and I highly recommend this to all my friends! Thank you Society W!! When I met Wendy, I had no expectations but I wanted to sign up for a Privilege membership, just to try it out, since I had been single for about 4 years. She told me that it wasn’t what I needed, and recommended date coaching instead. I trusted her and went for it, saving me money in the process. I totally believe that her coaching opened up my heart to receive love, and in just a few short weeks, I met an amazing man and we are now engaged. 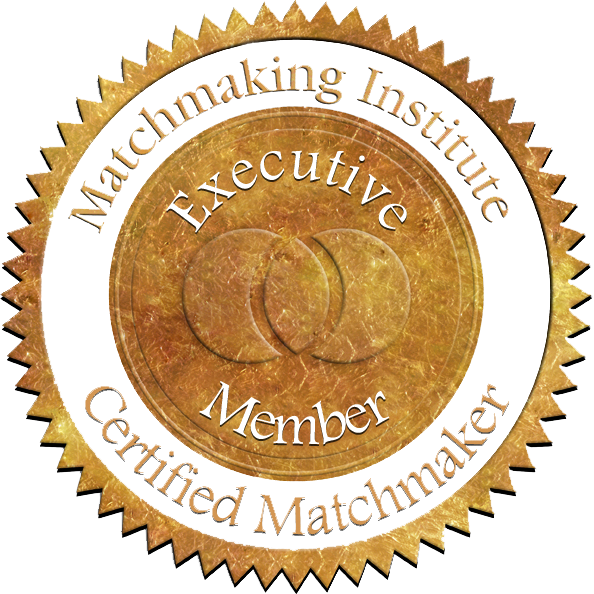 I never thought I would ever use a Matchmaker’s services. I stumbled upon Society W by chance. Being a very private person, I was worried about being embarrassed, or that my information might be compromised. However, during my meeting with Wendy, she was completely reassuring, professional, and able to empathise with my concerns. I even found myself having fun! With her background in Private Banking, her standards for confidentiality were even higher than my own. Having been aggressively courted by other dating agencies before (they all seem to want me as a client! ), I can vouch that Society W, with their highly-qualified Matchmakers and dedication to great service, is in a completely different league from the mass-market services. I am now in a serious relationship with someone whom I met right after my 3 sessions with Society W, but I would still like to thank them because of the good service they provided, and the calibre of men they introduced to me. To have such eligible guys be interested in me and court me did WONDERS for my confidence, which had taken a huge beating during my divorce. Sometimes, it is all about timing, and everything happens for a reason. Thank you! My love life has gone from an “F” to an “A+” since joining Society W. The calibre of people I’ve met has exceeded my expectations. Society W conducts highly personalised screening, so I got the chance to meet some of the most eligible and attractive men, men that I would not have had the opportunity to meet otherwise. Every date I’ve had through Society W has been promising! I have Society W to thank for getting me back in the game. Through the dates, follow-up services, and one-on-one coaching, I’m finally feeling excited about my love life! Importantly, Society W’s services are 100% confidential, and they are always on hand to offer support! Thank you so much! A friend invited me to this singles event, and initially I was hesitant, but in the end, I decided to join since I didn’t really have plans for the evening and the place was closeby. I thought, “Why not?”. When I got there, it wasn’t at all like what I imagined! The location turned out to be cosy, and I felt welcomed by the organisers. The people I met there were all very nice and friendly.. I enjoyed the evening very much, had good conversation, accompanied with good food and wine too ! All in all.. was a great fun and thanks to Wendy for organising! I also met someone special… and have been really enjoying getting to know her so far. Pamela is an amazing consultant. She exhibits a high level of professionalism, patience, always there to provide advice and lend a listening ear to coach me over each date. Thank you Pamela. I'm engaged! Thank you for the months of matching, coaching, agonising over all the details of each date! I'm so happy to be done with dating. Seriously. I wanted to give you these [gifts] to thank you for the great job you have been doing. The matches have been very good...! Especially Mr. L so do send me more profiles like that in future. I like that he has been consistent and knows what he wants. Thank you so much Wendy for all your advice and coaching. I have changed SO much since I met you, I'm much happier, more open, and courageous now, even my friends and family can see it! Are you single, fun, charismatic, and intelligent? We're constantly on the lookout for the best men and women to join our Member List. Register below to begin your journey. Discover how you can save years of fruitless dating and meet compatible partners.